Afghanistan have named their squads for next month's series against Zimbabwe. 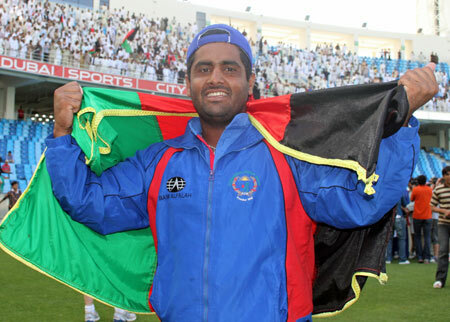 Most notable is the inclusion of Mohammad Shahzad who has been given a shortened ban which allows him to feature in the series as well as the upcoming World Cup Qualifiers in Zimbabwe. In a bizarre ruling, even by ICC standards, they allowed the ban to include a period when he was still playing - go figure? There's also returns for all-rounder Samiullah Shenwari, fast bowler Hamid Hassan and opener Karim Sadiq. The games will be new Head Coach Phil Simmons' first games in charge and will serve as vital preparations for the qualifiers. Asghar Stanikzai (capt), Mohammad Shahzad (wk), Javed Ahmadi, Ihsanullah Janat, Najibullah Zadran, Rahmat Shah, Samiullah Shenwari, Nasir Jamal, Mohammad Nabi, Gulbadin Naib, Rashid Khan, Mujeeb Zadran, Sharafuddin Ashraf, Dawlat Zadran, Shapoor Zadran. Asghar Stanikzai (capt), Mohammad Shahzad (wk), Usman Ghani, Karim Sadiq, Najibullah Zadran, Shafiqullah, Samiullah Shenwari, Aftab Alam, Mohammad Nabi, Gulbadin Naib, Rashid Khan, Mujeeb Zadran, Sharafuddin Ashraf, Hamid Hassan, Shapoor Zadran.